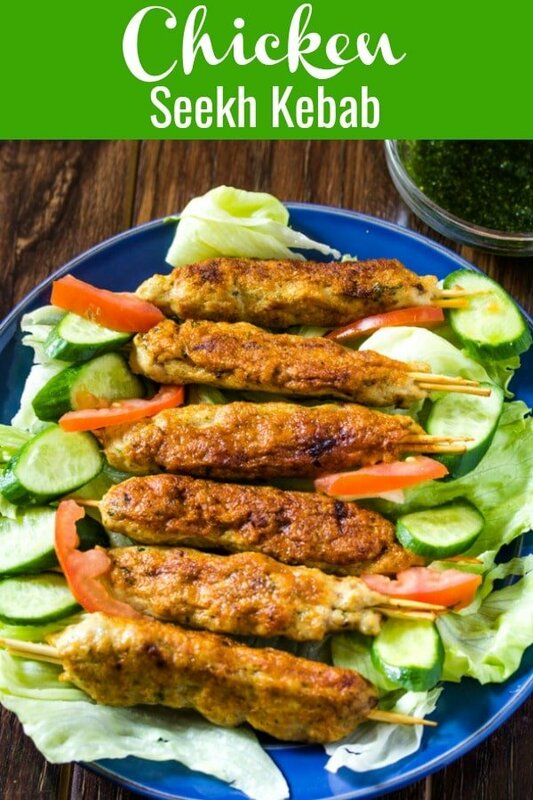 Chicken Seekh Kabab are a delicious Indian appetizer made with ground minced meat and a handful of spices and are usually served with a side of green chutney. Looking for more delicious appetizers? You must try this Aloo Tikki, Aloo Chaat and Chicken Cheese Balls! So after sharing a few desserts last week, I decided it was time to share my recipe for super delicious Chicken Seekh Kabab. What is Chicken Seekh Kabab? First things first, what does Seekh Kabab mean? Well, seekh quite literally means skewers (remember this delicious Shish Tawouk?) and kabab usually means a meat patty or actually even cubes of grilled meat. 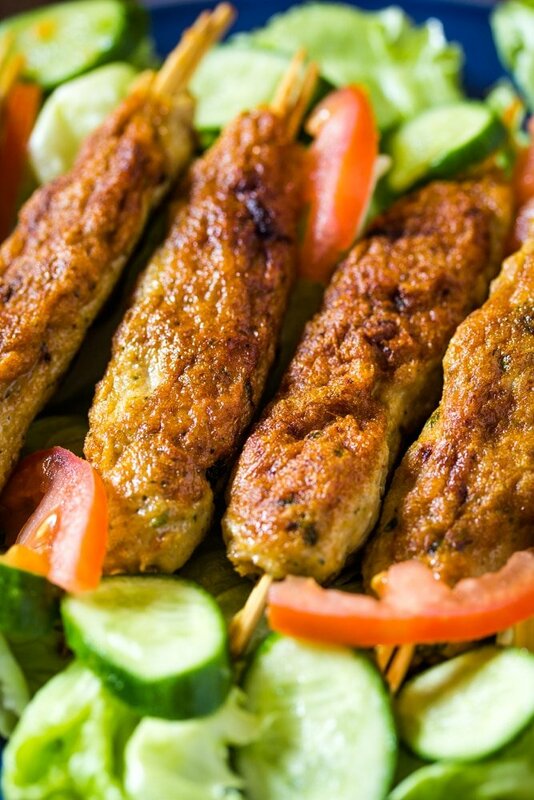 However Indian Seekh Kabab are almost always made with minced meat and they get their long shape by being skewered. In India and Pakistan you’ll find all types of kabab: beef seekh kabab, mutton seekh kabab and chicken seekh kabab are the most popular variations of kabab. While Seekh Kabab is an appetizer that’s delicious dipped in green chutney, it goes very well as a side with mains such as this Jeera Rice and Daal. What Ingredients Do You Need for Seekh Kabab? 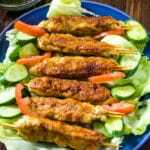 How Do You Make Chicken Seekh Kabab? Start by adding all the ingredients to a food processor or chopper. Pulse until smooth and all the ingredients have incorporated fully. We need to let this meat mixture rest in the fridge for 30 minutes or so. Lightly oil your hands and thread the meat mixture onto wooden skewers (you may also use metal skewers). 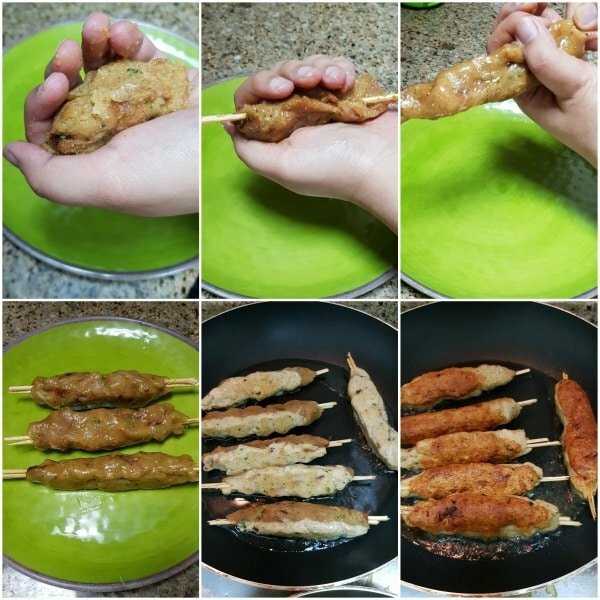 A close look on how to skewer seekh kebab. 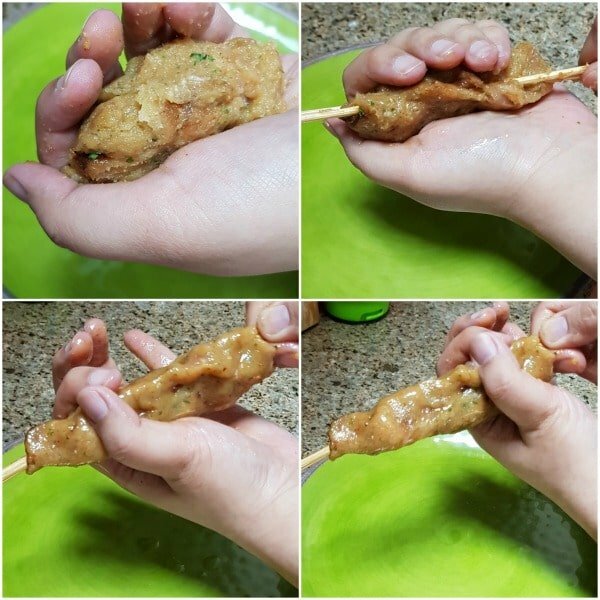 The trick is to take about 2 tablespoons of meat mixture, and then using your thumb and index finger spread it across the skewer. Fry the chicken seekh kebab in a frying pan until golden brown and cooked through. How Do You Bake Chicken Seekh Kabab? It’s easy to bake chicken seekh kabab in the oven. Start by preheating your oven to 200 C and lightly grease a baking tray. Place the seekh kabab onto the baking tray, and bake for about 10 minutes or so, turning the seekh kabab once so that they evenly cook. Once the seekh kabab are golden brown and cooked through, remove from the oven and serve immediately. Start by shaping the chicken seekh kabab and then remove them from the skewer (because we can’t freeze the kabab with the skewers). Then cook the seekh kabab half way through, and remove from the heat. Let cool completely. Flash freeze on a tray, and then transfer to ziplock bags and freeze up to 1 month. When ready to cook the chicken seekh kabab, remove from the freezer and let them defrost a little bit at room temperature. 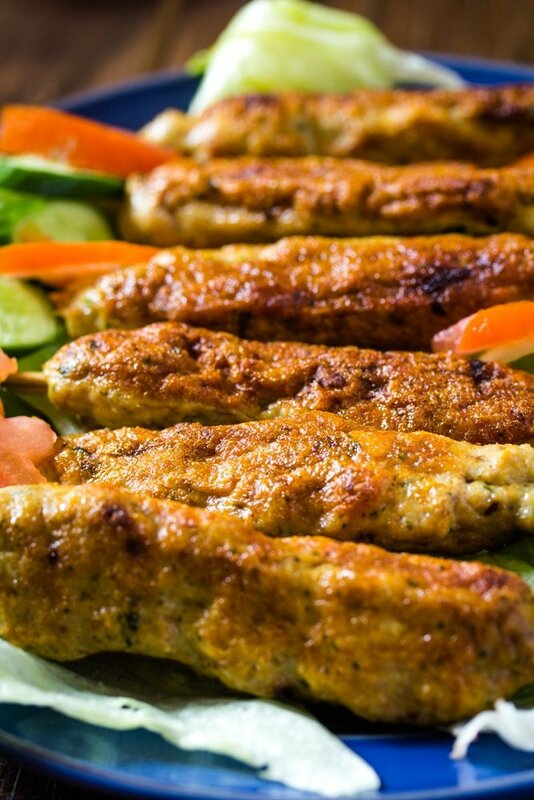 Fry or bake the chicken seekh kabab, until cooked through. I do hope you try these chicken seekh kabab, they’ll be a hit for sure! In a chopper or food processor, add all the ingredients and pulse until well combined. 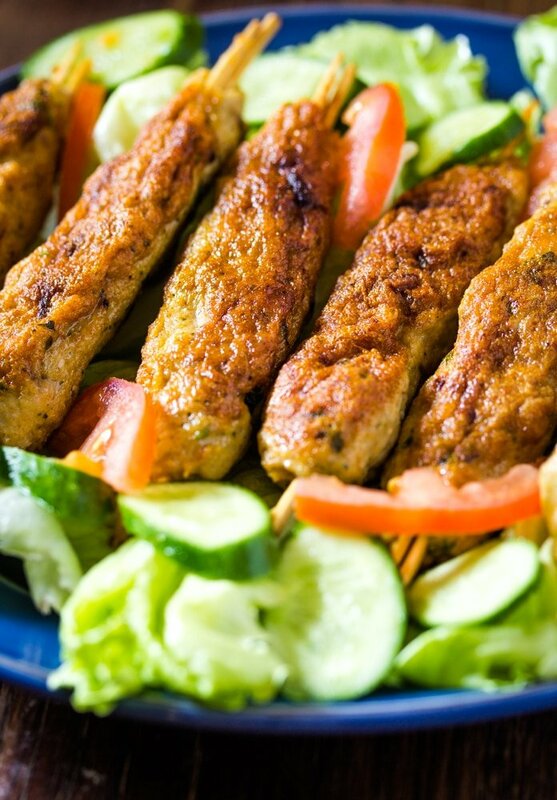 Transfer this seekh kebab mix and place it in the fridge for at least 30 minutes or overnight. Remove the marinated meat from the fridge and grease your hands with a little bit of oil. 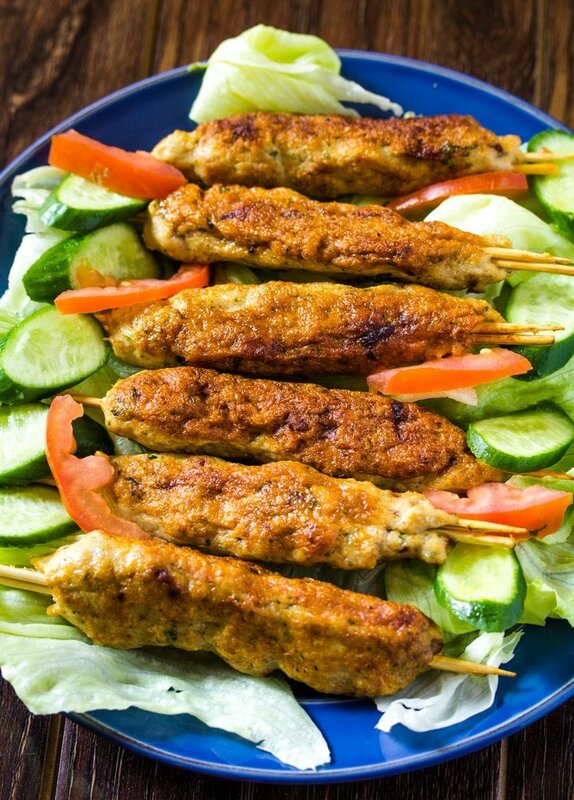 Shape the seekh kebabs on the wooden skewers and place on a tray. To cook on stove: heat oil in a frying pan to a medium heat, and cook the seekh kebabs until cooked through and golden brown. This will take about 5-7 minutes. Keep turning sides, for even cooking. To cook in the oven: Preheat the oven to 200 C and grease a baking tray. Place the seekh kebab on the baking tray and bake for about 10 minutes (turn the seekh kebab once) until cooked through and golden brown. 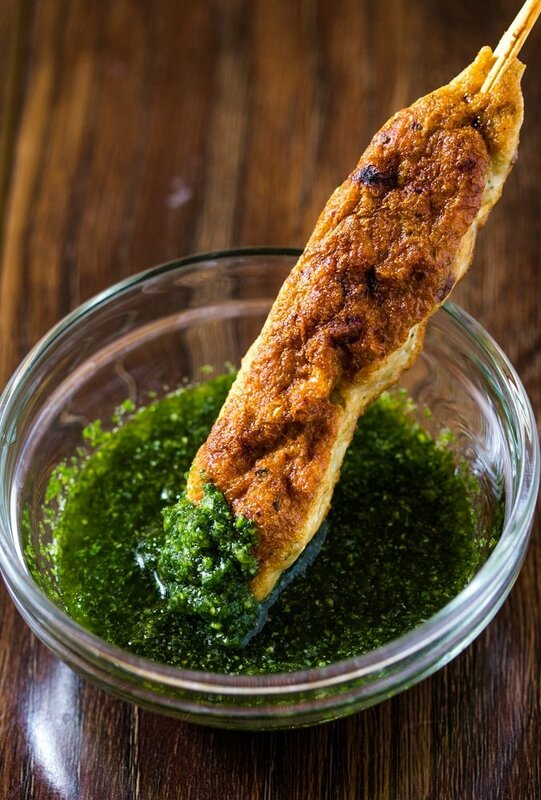 Serve with green chutney, the recipe is linked in the notes section!